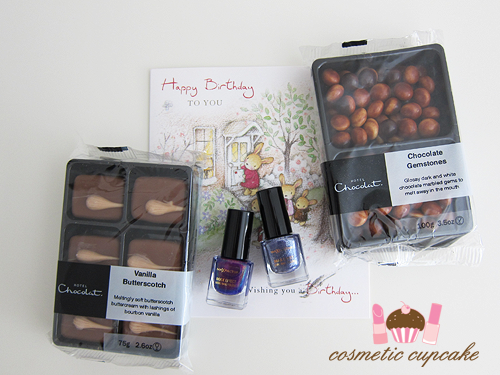 Cosmetic Cupcake: March package love! 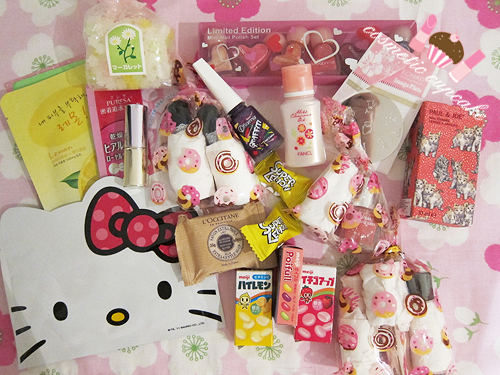 The 2nd package was from lovely Monika who sent me an awesome New Year/Chinese New Year package from sunny Singapore! 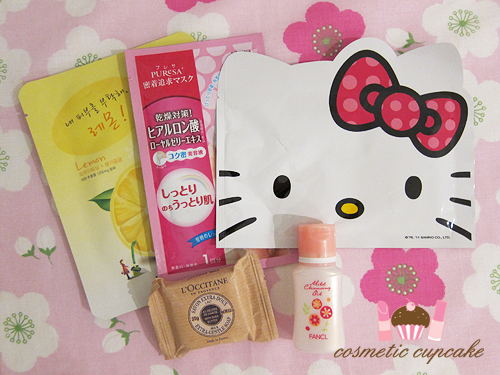 Moni also included some great skincare for me! The masks are too cute to use lol. 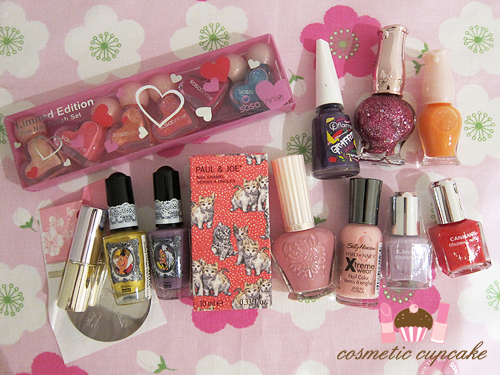 Thank you both SO MUCH for your wonderful packages =) It really brightened my month! How exciting is it to receive these love packages? It's filled with so many goodies! Those heart-shaped Sasatinnie bottles are so cute! v. cute! i know the feeling of items being too cute to use XS i never wanna open anything cute but have to cause it'll go to waste! Glad ypu like it all, even though was super late!! Awww so glad you liked your pressies my lovely! HAHA! Ya can reassure your family not to worry, Hotel Chocolat shall not be a stranger ;) Lol! 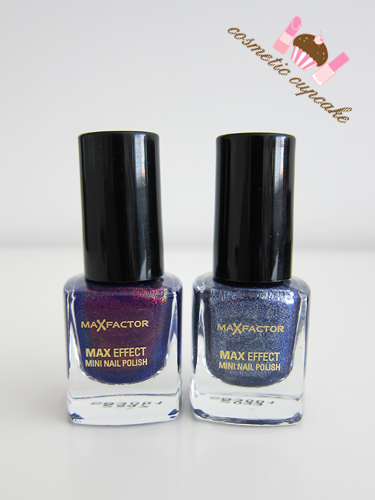 Can't wait to see the Maxfactor polish's on ya!